I had to mention that ESPN’s piece on NBA players visiting the Great Wall of China failed to mention that the Washington Bullets were the first team to do so back in 1979, which was very significant at the time. If any other NBA team had been there, ESPN would have mentioned it. It’s a shame that they have forgotten the Washington Bullets. Never been busier in my life but I felt I had to post this. ESPN The Magazine’s Howard Bryant just trashed Washington, D.C. as a sports town. It’s too much to go into, but the article is pretty weak. If you want to read an article about D.C. as a sports town by a Washingtonian, see http://bleacherreport.com/articles/914880-washington-dc-not-just-a-redskins-town-but-a-great-sports-city. 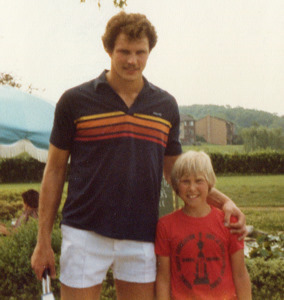 Former Washington Bullet Mitch Kupchak at a charity event in Gaithersburg, Maryland in 1980. Photo by Mike Frandsen. I recently wrote an article on Examiner.com about how professional journalists continue to pronounce Los Angeles Lakers general manager Mitch Kupchak’s name wrong. (It’s Kup-CHAK, not Kup-CHEK). That’s pretty pathetic. Anyway, Kupchak has 10 NBA championship rings – seven with the Lakers as an executive, two as a player, and one as a player for the Washington Bullets in 1978. Kupchak was an All-America at North Carolina, ACC Player of the Year, started on the 1976 U.S. Olympic team that won the gold medal, and played a key role as a member of the ’78 Bullets and ’85 Lakers championship teams. Jerry West put together most of the Lakers’ title teams, but Kupchak deserves credit for at least the two most recent ones. Anyway, if Kupchak led the Knicks to a title rather than the Bullets, everyone would pronounce his name right. It’s too bad how we always forget the past. Now I’m getting a little off topic, but Charles Barkley always mentions himself, Tim Duncan, Karl Malone, and Dennis Rodman as the best power forwards ever, and he never mentions Elvin Hayes, as if basketball wasn’t played before Barkley’s era. Never forget the Washington Bullets, the 1978 NBA champions. Click here to read my article on Mitch Kupchak on Examiner.com. There have been rumblings the last few years for the Washington Wizards to change their name back to the Bullets. 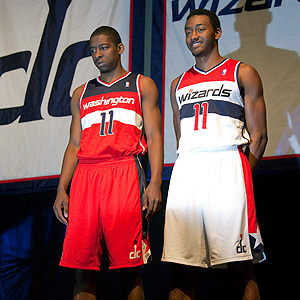 Owner Ted Leonsis has already changed the uniforms back to the familiar red, white, and blue the Bullets wore. However, Ted has consistently said he won’t contemplate a name change back to the Bullets. It was just two years ago that former owner Abe Pollin died, and Pollin changed the name to the Wizards in 1997 to be more politically correct. But Pollin’s widow, Irene Pollin, recently told the Washington Post that she wouldn’t oppose a name change back to Bullets if that’s what the fans want. That opens the door a crack for a possible name change, although it wouldn’t be prudent to go overboard on this for fear of jinxing the possibility. So this morning I revised and republished parts of an interview I did in 2010 with former Bullet Kevin Grevey, a starter on the 1978 NBA championship team. You can read the article here on Bleacher Report. 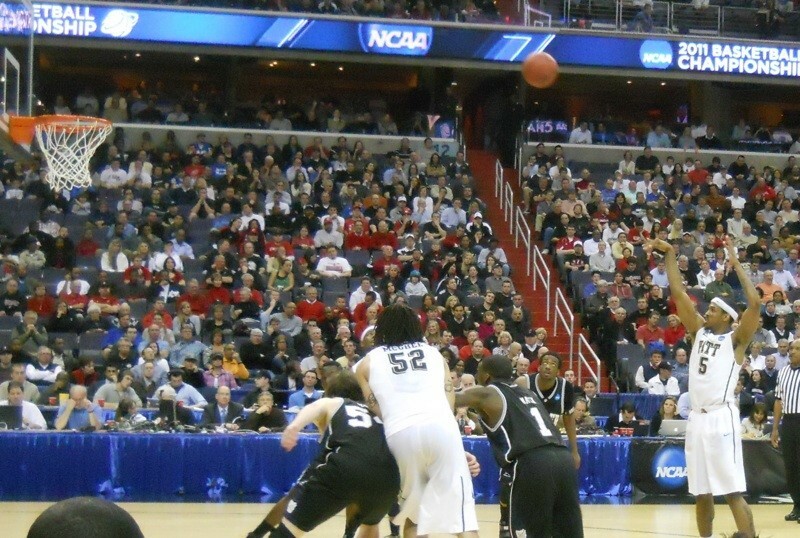 Shelvin Mack (1) watches Pitt's Gilbert Brown shoot a free throw during Butler's NCAA tournament win over the top-seeded Panthers last March at Verizon Center. Photo by Mike Frandsen. The Washington Wizards drafted an athletic European forward, a tough defender from the ACC, and a solid combo guard who played in back-to-back national championship games Thursday. In Jan Vesely, Chris Singleton, and Shelvin Mack, Washington hopes it has three players who will be able to contribute immediately. With the sixth overall pick, the Wizards selected Vesely, a 6-11, 240 pound forward from the Czech Republic who helped his team, Partizan Belgrade, to the Serbian championship last season. Vesely, 21, is known as an athletic dunker, and when ESPN’s Mark Jones suggested he could be the “European Blake Griffin,” Vesely responded, “Blake Griffin is the American Jan Vesely.” After being picked, the crowd at the Prudential Center in Newark, N.J. cheered wildly after Vesely kissed his longtime girlfriend. For the rest of my article on examiner.com, click here. Twenty-five years ago today something happened that was so shocking that it was hard to fathom that it really took place. On June 19, 1986, University of Maryland basketball player Len Bias died of a cocaine overdose. The scene that morning, as documented in news reports, was surreal and tragic as family members and teammates learned the news after gathering at Leland Memorial Hospital in Riverdale, Maryland. Kirk Fraser recounted the story of Bias’ death in an ESPN documentary, 30 for 30: Without Bias. It was like a nightmare that seems so real and then you wake up. Only this was real. It haunts Maryland fans to this day. Bias was not only the best player ever at Maryland, he was the greatest player in the history of the Atlantic Coast Conference. He was better than Michael Jordan, Christian Laettner, David Thompson, and Ralph Sampson. 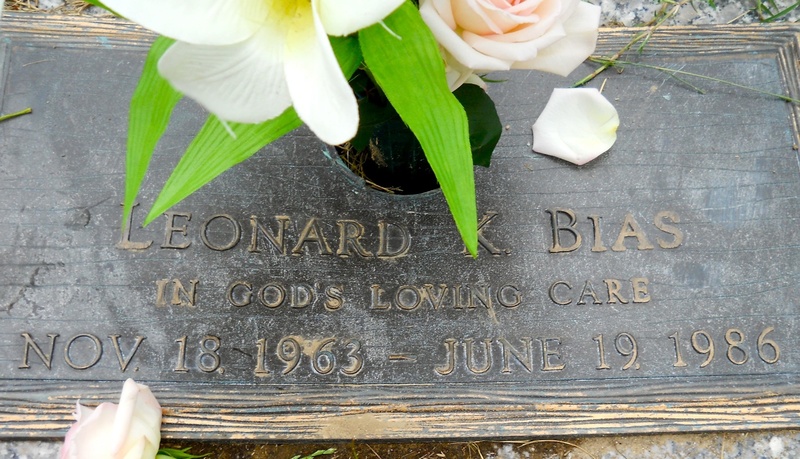 Bias was a power forward with the strength of a center, the quickness of a small forward and the touch of a shooting guard. But that doesn’t come close to telling the story. Shaquille O’Neal retires: Is Shaq the most overrated center of all time? Shaq retired today, upstaging the NBA finals. He is one of the most overrated players of all time. No other great player got to play with so many all-time greats — Penny Hardaway, Kobe Bryant, Dwyane Wade, Steve Nash, LeBron James, and at the end, Paul Pierce and Kevin Garnett though that doesn’t really count. Has there ever been a player in the history of the NBA who played with more great players? Shaq could have never won a championship without an all-time great next to him. Hakeem Olajuwon was better – he got two titles with a worse supporting cast, and swept Shaq’s Magic in the finals. Wilt Chamberlain dominated the game much more than Shaq. Bill Russell won more titles and was a better defender and shot blocker. Kareem Abdul-Jabbar was a much better scorer, wiht an all-time move (the sky-hook) and won six titles, though he did have Magic and Worthy. Shaq simply didn’t have many offensive moves at all and didn’t rebound as well as you would expect for someone so big and athletic. He was often out of shape and injured. He was one of the worst free throw shooters of all time. Moses Malone was just as good, though no one admits it. David Robinson was almost as good – Shaq benefitted from his sheer size. And Shaq got the benefit of many calls from the refs. Yes, he was great, four titles, excellent scorer, lots of numbers, but I would have loved to have seen how he would have done with the teammates that Patrick Ewing had. Probably the same – no titles. At least Ewing won an NCAA title. And I’m tired of hearing about how outgoing he is. That shouldn’t be considered in how great of a player he was. Washington Post Bog’s Dan Steinberg: Will Wizards change name to Washington Monuments? 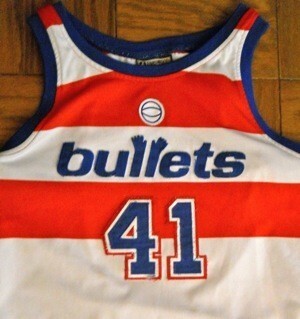 Washington Bullets Wes Unseld retro jersey. Photo by Mike Frandsen. After a local sports blogger sent a tweet out asking if the Washington Wizards were thinking of changing their name to the Washington Monuments, the Post’s Dan Steinberg raised the topic on his Sports Bog. Steinberg noted that the Washington Monument is featured in the Wizards’ new red, white, and blue uniforms and one of the logos unveiled Tuesday, and the name of the group that owns the Wizards, Caps, and Mystics is called Monumental Sports and Enterainment. Steinberg is an often entertaining and sometimes informative writer. He regularly refers back to the original sources from which he gets his information. He’s an expert at scouring the internet and old sports archives to find out what was written years ago. That’s why I’m a bit disappointed that he didn’t credit me for originally mentioning the possible Washington Monuments name in an article I wrote for Examiner.com June 11, 2010, even after I emailed him about it yesterday. Maybe the Post doesn’t like to update online stories after they have originally been published. Here’s an excerpt from that article I wrote 11 months ago. Could the Wizards change their name to the “Washington Monuments” in the future? Though Leonsis denied the possibility of any name change, the name of the new company could be a clue to a future franchise name. “Monumental Sports” is an awkward name, but “Washington Monuments” does have a ring to it. If Leonsis had mentioned a name change as a possibility, speculation by the media and fans could have taken away from the product on the court, so it was smart for Leonsis to deny the possibility of a potential future name change. Leonsis has said he doesn’t want to disrespect the wishes of Pollin, who stated that he changed the name from Bullets to Wizards because of the city’s gun violence, so a name change back to the Bullets would be a long shot. The Washington Monuments goes with the Capitals theme, as the Washington Monument stands at the other end of the national mall from the Capitol. The name also identifies the team with something that is uniquely Washington, and the Washington Monument, like a basketball player, is very tall. There would also be no problem with franchises in other sports and leagues for rights to the name. Anyway, for the record, while the Monuments name makes some sense, I don’t think it would be a good idea to rename the team “Monuments,” which would be the franchise’s third name in 15-20 years. I still hold out hope, as most old Bullets fans do, that Ted Leonsis will rename the team the Bullets in a couple of years, because it never should have been changed in the first place. It’s probably a longshot, but longtime Bullets fans can only hope that Leonsis will at least consider the option. As for Steinberg, he said in a video chat that he suggests the name “Justice like everybody wants.” Wait, what? Steinberg and his Post colleague Mike (un) Wise suggest “Justice,” but there’s no way that “everybody wants” that. That would be a huge mistake. The vast majority of fans want the team to return to its Bullets name. Steinberg and Wise don’t care about the team’s great history, which includes an NBA championship in 1978, because they weren’t here then, and you have to do more than look up old articles to understand D.C. sports. To read my D.C. sports articles on Examiner.com, click here.